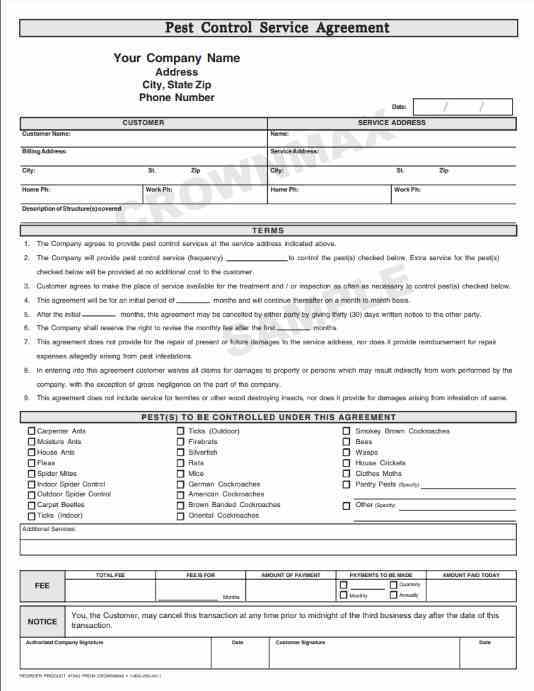 Pest control service agreement offers an easy check box area for pest(s) to be controlled, terms, fee, special notice and signature area. 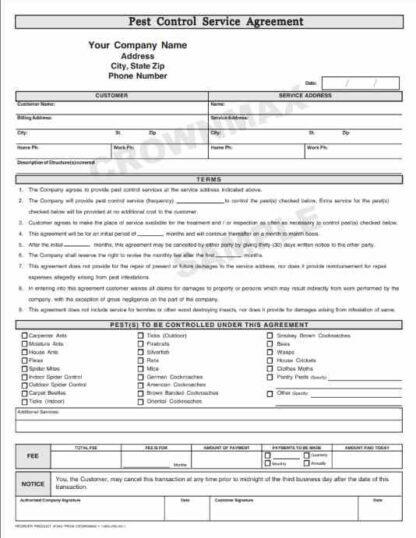 If special wording is needed to better accommodate your company’s needs or to comply with Pest Control Association or State Regulations, forms can be altered for a small additional fee. (Price would depend on amount of changes made. Check with Customer Service for more information 1-800-252-4011). Printed on 2 part carbonless (white & canary) paper in your choice of Red, Ivy Mint Green, Amazon Green, Brilliant Blue, Reflex Blue, Black or Burgundy Ink with your Company information imprinted at no additional charge. Please choose ink choice below. Also available in a 3 part. See product number 7041.